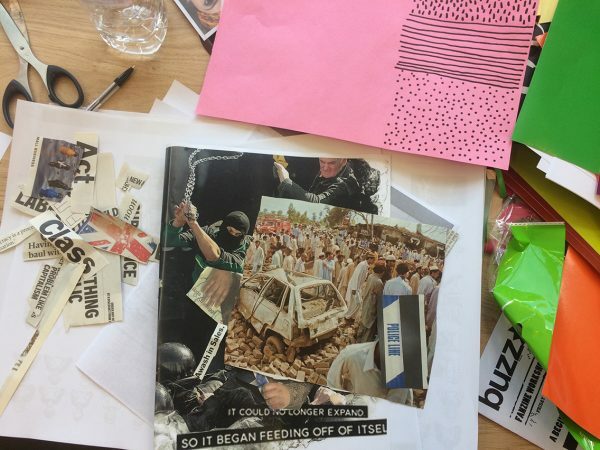 Earlier in May, 2017 I was pleased to be asked to run a zine workshop as part of the Diffusion festival‘s free DIY season at the Googlespace in Cardiff, facilitated by Buzz Magazine. The stars of the day were the work-shoppers who came along to the session, the group were really receptive, productive and engaged. I can’t quite believe how much work was produced in a few hours. 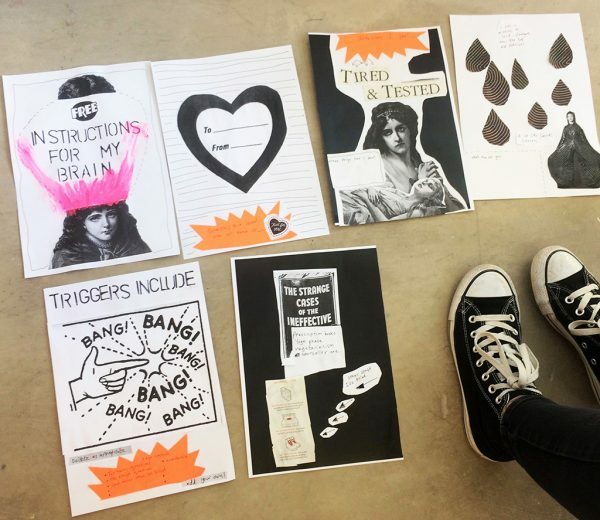 Zine-making is a broad and inclusive activity – there is no one approach to it, so through examples and discussion my aim was to enthuse each person to find their own way to express themselves through a self-published format. 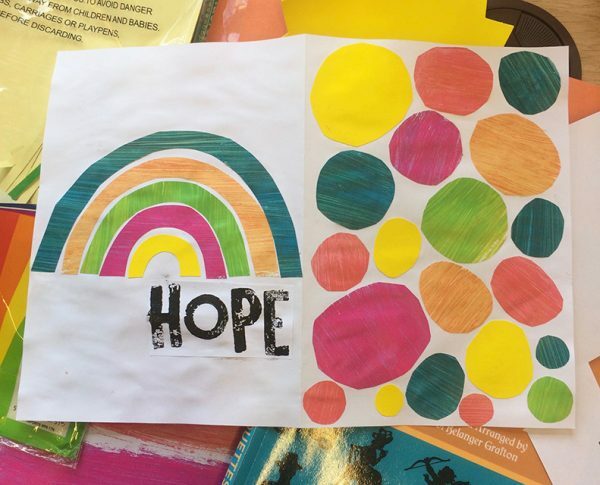 Everyone was very quick to find something they wanted to focus on, whether it be a theme, or technique such as collage, typography or painting using a mix of materials we had made available. Overall the work produced was positive, creative and inquisitive – the session had the feel and commitment you might expect on art school course, but with the relaxed feel of a conversation with friends. The Buzz team were really helpful, friendly and encouraging – putting the participants at ease and making sure the technicalities such as the photocopy/printer were all taken care of.